Israeli soldiers kidnaped, Wednesday, eight Palestinians, including many children, in different parts of occupied Jerusalem, and injured two children — one with special needs. The soldiers also invaded and searched several homes.Mohammad Abu al-Hummus, member of the Follow-Up Committee in the al-‘Eesawiyya town in Jerusalem, said the soldiers invaded the town at dawn, and installed a military tent at its main entrance, and that the invasion lasted until late evening hours. He added that the invasion led to clashes between dozens of local youngsters and the soldiers, and that the army fired several gas bombs, concussion grenades and rubber-coated steel bullets, in addition to holding a bus for 40 minutes. 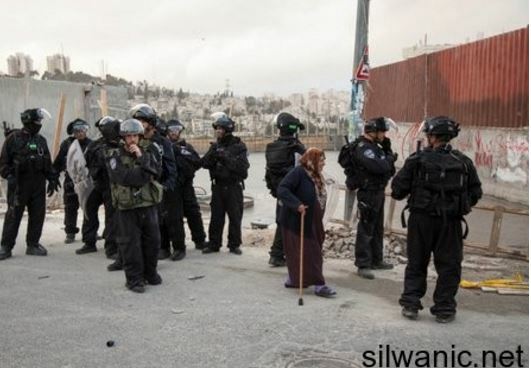 The soldiers also invaded Dari neighborhood in the town, stormed and searched many homes, and attacked several Palestinians while ransacking their homes. Abu al-Hummus further said that the soldiers fired concussion grenades and rubber-coated steel bullets in the neighborhood, causing several injuries, while two children, including one with special needs, fainted after the Israeli military assault. 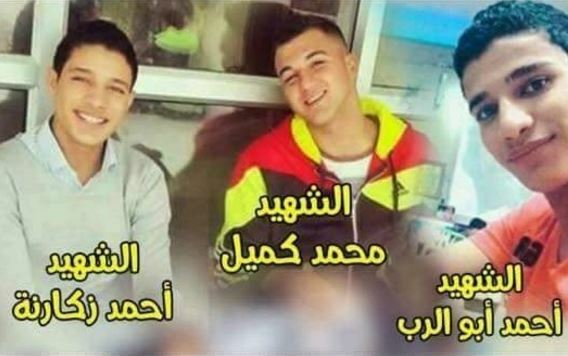 In Sheikh Jarrah area, in Jerusalem, the soldiers kidnapped three children, identified as Hamza Abdullah, 13, Mohammad Tha’er Sarhan, 13, and Qassem Shehada, 13; all from Qalandia refugee camp, north of Jerusalem. The three children were taken prisoner after three Palestinians, and an Israeli soldier, were killed, following the armed attack in Jerusalem’s Damascus Gate. The Palestinians have been identified as Ahmad Najeh Abu al-Rob, 21, Mohammad Abu Kamil, 20, both from Qabatia, and Ahmad Najeh Ismael, 22, from Jenin. Following the attack, the soldiers sealed Jerusalem’s Old City and fired dozens of gas bombs and rubber-coated steel bullets on the Palestinians to force them out of the area. The army also completely isolated the areas extending from Bab al-‘Amoud, Sultan Suleiman Street, Sahera Gate and Salaheddin Street, and pushed hundreds of soldiers into them. Meanwhile, Israeli Prime Minister Benjamin Netanyahu met with Defense Minister Moshe Ya’alon, Israeli Army Chief of Staff Gadi Eisenkot, Public Security Minister Gilad Erdan, Police Commissioner Roni Alsheikh, Attorney General Avichai Mandelbilt and a representative of the Shin Bet security service. Israeli daily Haaretz said Israel has decided to impose a full closure on Qabatia town, and to send more troops to be deployed in different parts of the northern part of the West Bank.